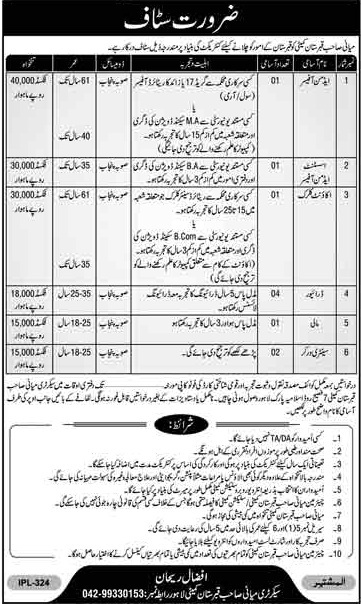 Below are the complete details of the Driver jobs in Miani Sahib Graveyard Committee in Lahore. Skills Required for Job: Candidates must have Good Communication Skills. Good Team Working Skills. Should have Driving Licence Take Care of vehicle Cleaning the vehicle Ready to go outside the city for multiple day trips. Qualification: Miani Sahib Graveyard Committee Lahore Jobs For Driver for must be Middle Degree With Minimum 5 year experience in relevant field, its a permanent based jobs, only Male can apply for apply this post , last date of submission application is continue. 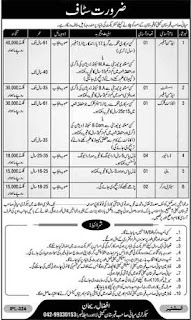 Driver jobs in Miani Sahib Graveyard Committee Lahore, in Pakistan published on Paperpk.com from newspaper on January 12,2019. Job seekers who are already working as LTV Driver , HTV Driver ,Heavy Duty Driver can also apply for post of Driver.